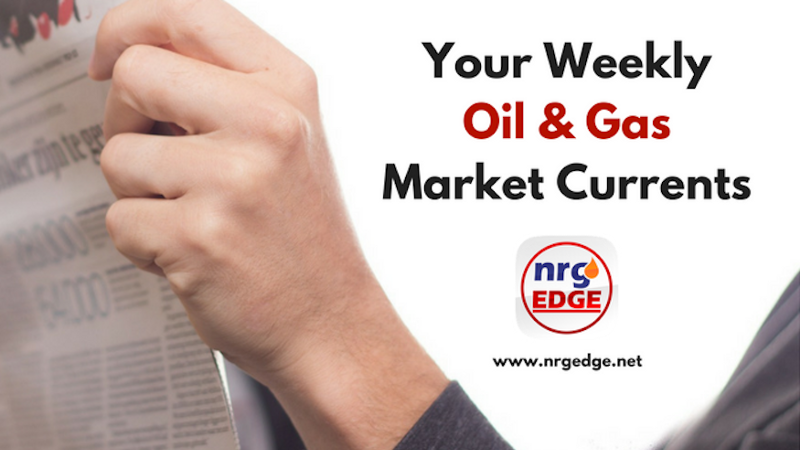 Crude oil prices began the week on a stronger note, bouncing back from market jitters of American plans to impose steep tariffs on steel and aluminium imports to trade on indications that US crude inventories continue to fall. Tanks at the important storage hub in Cushing, Oklahoma are at their lowest levels since 2014, as a booming American economy and backwardisation structure in futures trading encouraging drawdowns. However, despite the fall in Cushing, overall US crude stockpiles rose more than expected – up by a preliminary estimate of 5.66 million barrels - providing some drag to the market. The US is expected to become the world's largest oil producer in 2019, overtaking Russia, with Saudi Arabia remaining the world's largest exporter for the foreseeable future. The upward march of American output remains the single largest drag on crude prices, and a key variable in determining direction, as the EIA confirmed that American production shattered a 47-year old output record last November, hitting 10.044 mmb/d. OPEC commented that while it was committed to ensuring the market was rebalance by mid-2018, it warned that there was a risk of an ‘upcoming energy crisis', sown by the current seeds of under-investment. The US active oil rig count hit 800 for the first time in almost three years, gaining a single site. Along with 2 new gas rigs, the US rig count stands at 981 as of last Friday. Crude price outlook: Crude prices should stay steady this week, with prices in the US$65-66/b range for Brent and US$62-63/b for WTI. The hits keep coming for ExxonMobil in Guyana, as it and partner Hess made a seventh major offshore discovery in two years in the Pacora-1 well. Development will be folded into the plans for the Payara field, which should bring Guyanese output up to a potential 500,000 bpd. While Turkey squabbles with Cyprus over gas fields, Greece is hoping to make its own discoveries, sanctioning development of four blocks in the west of the country by Total, Italy's Edison and Hellenic Petroleum. Mexico will be hoping that the shale revolution can begin within its borders, as it offers up nine onshore areas in Tamaulipas state that will be awarded to private firms for the first time in September. Thawing relations with China, The Philippines has identified two offshore sites – SC-57 and SC-72 at Reed Bank – which could be prototypes for proposed joint upstream activities with China. Bolivia's YPFB has reportedly signed an MoU with Dubai's Kampac Oil and London's Milner Capital to jointly invest US$2.5 billion to developing the Madre de Dios oil and gas basin in northern Bolivia. Japan's Inpex has been awarded a 10% interest in Abu Dhabi's Lower Zakum concession for 40 years; separately, Inpex's stake in the Satah and Umm al Dalkh concession has also been extended for 25 years. After years of delays, Vietnam's second oil refinery in Nghi Son is ready for commercial startup in April, processing Kuwaiti crude. The country's third refinery, in Long Son, also broke ground last week. Total is aiming to build and operate a 150 kb/d greenfield refinery in Iraq, which would be linked to the Nassirya oilfield. Originally planned for 300 kb/d, PetroChina and Lukoil are also reportedly interested. Poland's plan to push for a merger of its two state oil refiners – PKN Orlen and Lotos – has met with intense political opposition once again. Tullow Oil and its partners expects to finalise the construction of an export pipeline – linking the inland Amosing and Ngamia fields to the port of Lamu – by mid-2018, clearing the way for output to begin in 2022. While there has been no damage to ExxonMobil's gas pipeline in Papua New Guinea after a 7.5 magnitude quake, it will take 8 weeks to repair and restore production at the PNG LNG plant, with ExxonMobil declaring force majeure on all exports as it continues to assess damage to gas fields. Dominion Energy's Cove Point export terminal in Maryland, USA has been cleared for commercial startup, shipping its first LNG cargo to Europe, becoming the second American LNG export facility to operate. Timor Leste and Australia are on the verge of agreeing on a permanent maritime border at the Permanent Court of Arbitration, paving the way to develop the Greater Sunrise offshore gas field that had been shelved previously due to disputed oceanic borders. There may finally be some movement in the Philippines' planned LNG import facility, as four potential investors – including Tokyo Gas and domestic power player First Gen – have reportedly expressed interest. Japan's Jera and Marubeni are reportedly teaming up with Australia's Fortescue Metals to build a 2 mtpa LNG import terminal in New South Wales, which would help ease the east coast natural gas crunch. India has begun to receive its first US LNG as Cheniere begins its 20-year contract with GAIL, supplying 3.5 mtpa of LNG per year.